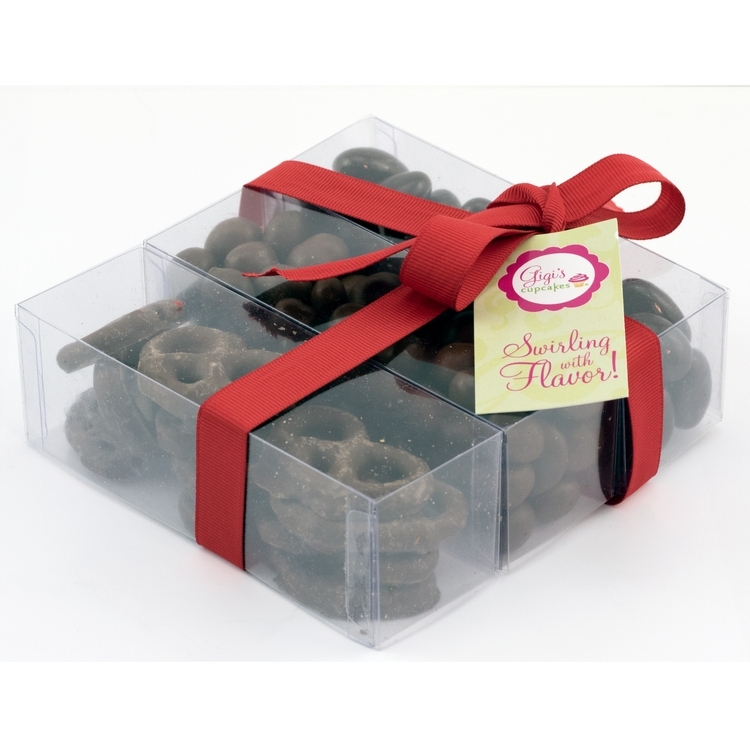 This triple stack present gift box contains chocolate covered almonds, espresso beans, and mini pretzels. The hand tied ribbon and 4 color process note card provides a nice finishing touch for these great corporate holiday Christmas gifts. Various fills and ribbon colors available for these gourmet gift box containers.